Several principles have been developed over the years to provide Rotarians with a strong, common purpose and direction. They serve as a foundation for our relationships with each other and the action we take in the world. In particular the Objectives and the Four-Way Test guide us throughout our meetings and projects. I love Rotary because gives me the opportunity to work and socialize with my peers. I love Rotary because Rotary is an organization in which you can give back to the smaller community as well as the wider world while creating long lasting friendships and comradery through fellowship. I love Rotary because I am able to have fellowship with amazing like-minded individuals and do wonderful work in the community. If you want to gain friends and feel part of the community in which you live why not join us? I love Rotary because it is a great feeling to give back to my local community. Strong friendships have been formed and the common bond to want to take on projects in the community is inspiring. To belong to the Rotary family is a tremendous thing. I love Rotary because it provides me the opportunity to meet and work with a wide array of excellent and inspirational community-minded people. I love the feeling of giving back to the community in which I live. I love Rotary because it allows me too help the community and make lasting friends with the membership. I love Rotary because this community has continual positive impact and reach, through all the globe, on almost every part of human development, hope, health, relief, purpose, innovation, education, accomplishment… and I play a small role as part of it, since 1995. Selah. I love Rotary because I have been able to give back to my community and meet some wonderful people. Rotary inspires me every day as it is a privilege to serve mankind by making life more meaningful for the less fortunate. Being able to contribute in a way, to the community and the smile on the faces of those you have lent a hand to make their dreams real, speak for itself. Rotary truly lives up to its principle of ‘Service Above Self’. I love Rotary because it gives me the opportunity to give back to the community in profound and meaningful ways. I also love Rotary because I get to connect and create relationships with people who take action. I love Rotary because it’s a wonderful way to give back to the community. I am committed to making a positive difference within our community. I love Rotary because it’s an organization filled with passionate people of action who are collaborating to bring communities together, make the world better, and the future brighter. I love Rotary because it makes a difference in millions of people’s lives, including my own. I love Rotary because I get to make friends and make a difference. 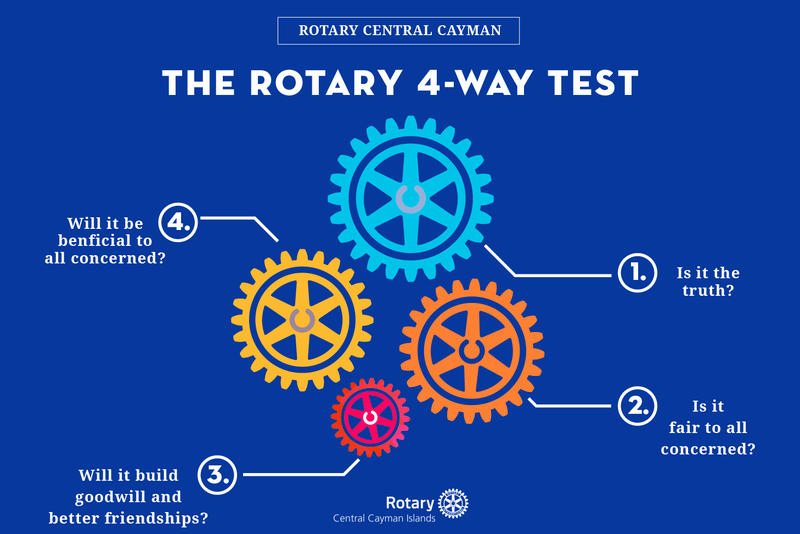 The Rotary Club of Central Cayman Islands (Club ID: 24132) received its charter from Rotary International on October 30 1986. The Charter President was John A. Furze. All these years later, one of the original members still in the club today, proving that Rotary is a family for life. Here is a photo of some of our past Presidents, taken in 2014. • MobiMat Beach Access – and much more! What was the first Rotary Club community project? A “comfort station” in downtown Chicago. Public restrooms were typically found only in saloons at that time, and unaccompanied women were not permitted to enter saloons.  How much were annual dues at the first Rotary Club? There were no dues at the first Rotary Club. The group voted there would be no dues and all club expenses would be paid from 50-cent fines.  In what country was the first Rotary Club outside of the United States? The first non-USA Rotary Club was in Winnipeg, Canada, in 1912.